Director of the History Institute, MP Yagub Mahmudov announced that the mass genocide of Azerbaijani people by Armenians back in 1918 was thoroughly planned and prepared in advance. “The recent researches conducted by the Institute based on the study of archive documents gave grounds to say that the Dashnaks-Bolshevik regime headed by Shaumyan, who seized power in Baku in November 1917, prepared and systematically carried out criminal action against Azerbaijanis in the spring of 1918. Tens of thousands of peaceful, unarmed representatives of the Turkic-Muslim population, including Azerbaijani Turks, Lezgins, Tatars and representatives of other ethnic groups, regardless of their gender and age, were mercilessly killed only because of their ethnicity. They even murdered children and women,” the historian told Day.Az. In 1918, the Armenian gangs committed an act of genocide against the civilian population almost on the entre territory of Azerbaijan. More than 50,000 of Azerbaijani citizens became victims of Armenian fascism in a matter of five months. Azerbaijanis were exposed to genocide in Baku, the Guba province, Shamakhi, Gusar, Erivan, Nakhchivan, Zangezur, Karabakh, Lankaran and practically on all Azerbaijani lands. Armenian Bolshevik troops led by Stepan Shaumyan massacred thousands of people, burnt Islamic shrines and confiscated the 400-million-manat estate of Baku residents. Tezepir Mosque was bombed, and one of the magnificent architectural buildings, Ismailiyyeh, was burnt down. Armenian dashnaks killed 8,027 Azerbaijanis, including 2,560 women and 1,277 children, in 53 villages of Shamakhi, 110 km west of Baku, on March 31. Also, 16,000 Azerbaijanis were murdered in 122 villages of Guba, northern Azerbaijan. Mahmudov is sure that the main goal of Shaumyan and Dashnak murderers, who accompanied him, was complete elimination of the Turkic-Muslim population, as well as capture of all Azerbaijan and Eastern Anatolia, and establishment of the so-called "Great Armenia". Mahmudov said that the newly discovered archive documents prove that Stepan Shaumyan, long touted as a "Bolshevik-internationalist" by Soviet historians, was in fact a member of the largest and most radical Armenian terrorist organization - "Dashnaktsutyun" party. Stepan Shaumyan, who was a Baku Armenian and Dashnak masquerading as a Bolshevik, was appointed commissar of the Transcaucasus. He seized absolute power in Baku after the collapse of the Russian Empire and used his position to fight the Azerbaijanis. The Bolsheviks´ victory in Russia and the withdrawal of Russian troops from the battlefields of World War One opened the way for the massacre in Azerbaijan. Shaumyan took advantage of Armenian officers and soldiers amongst the Russian troops who were returning from the front to Azerbaijan and used them in his anti-Azerbaijani campaign. “The question arises: why Baku Council disarmed only Muslim army and did not disarmed Armenian militaries, who were mainly deployed in Baku on those days,” Mahmudov said. 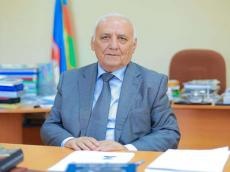 The historian said that Shahumyan motivated his position saying that if Azerbaijani national forces "would have reigned in Baku, the city would have been declared the capital of Azerbaijan." Mahmudov underlines the necessity to bring the truth about the 1918 March genocide to the world community. “As the head of the History Institute, I would like to count on greater support, including financial, on the part of the relevant structures, which will expand the scope of our research, to intensify efforts to collect documents relating to the history of Azerbaijan in foreign archives,” he concluded. In 1918, the Azerbaijan Democratic Republic established a special investigation commission to study the issue, but after the collapse of the Azerbaijan Democratic Republic in 1920, it naturally ceased to exist. Relevant investigations on the tragedy were carried out and books were published after Azerbaijan gained independence from the USSR in 1991.